For the first half, Group revenues totaled €12.5 billion, representing a 7.2% increase year-over-year. Strong top-line growth for CNH more than offset declines for Iveco and FPT Industrial resulting from weak trading conditions. CNH reported revenues of €7.9 billion for the first half of 2012, a 19.0% increase over the same period in 2011 (+10.0% in US dollar terms). Revenues were higher for both Agricultural and Construction Equipment, as a result of good demand for Agricultural Equipment and increased demand in North America for Construction Equipment. Iveco posted revenues of €4.2 billion for the first half of 2012, an 8.5% decrease over the same period for the prior year. FPT Industrial reports revenues for the first half of €1,460 million, a 6.8% decrease over the same period in 2011 mainly attributable to lower volumes. Sales to external customers accounted for 33% of total revenues, in line with the first half of 2011. For the first half,Group trading profit totaled €1,066 million (trading margin: 8.6%), up 32.1% over the €807 million figure for the first half of 2011 (trading margin: 6.9%), driven primarily by volume increases for CNH and efficiency gains for Iveco and FPT Industrial. Trading profit for CNH was €852 million (trading margin: 10.8%), up €258 million over the €594 million trading profit for the first half of 2011 (trading margin: 8.9%), as higher revenues, improved product mix, and positive net pricing compensated for increased R&D investment and SG&A expenses. Iveco closed the first half with a trading profit of €191 million (trading margin of 4.6%), compared to €206 million for the corresponding period of 2011 (trading margin of 4.5%). FPT Industrial closed the first half with a trading profit of €52 million (trading margin: 3.6%), compared to a trading profit of €27 million (trading margin: 1.7%) for the corresponding period in 2011. The improvement reflects the absence of one-off costs recognized in 2011 in relation to production start-ups and efficiency gains achieved during the period. For the first half, operating profit totaled €935 million, up €155 million over €780 million for the same period in 2011, with the significant increase in trading profit (+€259 million) being partially offset by the €104 million increase in net unusual expense. For the first half, net financial expense totaled €218 million (€240 million for the corresponding period of 2011). Result from investments totaled €43 million for the half, down over the €56 million for the first six months of 2011 due to lower earnings for joint venture companies. The first half closed with profit before tax of €760 million, compared with €596 million for the same period in 2011. Income taxes for the first half of 2012 totaled €297 million (€243 million for the same period in 2011) and mainly related to taxable income of companies operating outside Italy and €18 million in employment-related taxes (IRAP) in Italy. The Group closed the first half of 2012 with a net profit of €463 million (€353 million for the first half of 2011). Profit attributable to owners of the parent was €402 million for the first half of 2012, compared to €319 million for the same period in 2011. Equity attributable to owners of the parent of Fiat Industrial S.p.A. at June 30, 2012 amounted to €4,756 million against €4,555 million at December 31, 2011. At June 30, 2012, consolidated net debt totaled €16,469 million, up €1,920 million from the beginning of the year (€14,549 million). Excluding negative currency translation differences of approximately €134 million, cash from operating activities for the first six months was more than offset by increases in the loan portfolios of financial services companies, as well as capital expenditure and dividend distributions during the period. (1) Includes fair value of derivative financial instruments. On May 21, 2012 pursuant to the shareholder resolution of April 5, 2012, Fiat Industrial S.p.A. completed the mandatory conversion of all its 103,292,310 preference shares and 79,912,800 savings shares into 130,241,397 Fiat Industrial ordinary shares. The conversion ratio was 0.700 ordinary shares per preference share and 0.725 ordinary shares per savings share. From that date, Fiat Industrial ordinary shares only are traded on Borsa Italiana’s electronic exchange (MTA), and Fiat Industrial’s share capital totals €1,919,433,144.74, divided into 1,222,568,882 shares with a par value of €1.57 each. 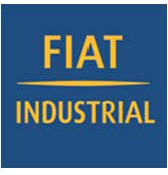 On May 30, 2012, Fiat Industrial S.p.A. (“FI”) invited the Board of Directors of CNH Global N.V. (“CNH”), in which FI holds an 88% stake, to explore the benefits of a potential strategic transaction between FI and CNH. Under the proposal, the two companies would combine into a new holding company organized in the Netherlands or adopt a similar structure (“Newco”) with exchange ratios for the transaction determined with reference to the undisturbed market prices of FI and CNH shares prior to the transaction first being raised publicly (i.e., March/April 2012). The transaction is intended to simplify the Group’s capital structure by creating a single class of liquid stock, with a primary listing in New York and secondary listing in Europe, thereby establishing a true peer to the major North American-based capital goods players in both scale and capital market appeal. The closing will be subject to certain specific conditions, including a €250 million cap on the exercise by Fiat Industrial shareholders of withdrawal rights that arise under Italian law as a consequence of the redomiciliation from Italy to the Netherlands, as well as any exercise of creditors’ rights. It is intended that the new company will adopt a high-low loyalty voting structure, whose purpose is to facilitate a stable shareholder base and reward long-term share ownership, while allowing the Group enhanced flexibility to pursue strategic opportunities in the future.